Nothing triggers memories like smell. Momentary, fleeting, and at times unexpected, one scent can conjure up the warmth of a grandparent, or the heat of a first kiss. Certain botanicals are known for their olfactive properties. Evolved to seduce pollinators and to proliferate the plant’s own genes, the fragrance of flowers have also become entangled in our human dance of seduction. In the art of perfumery, we have long extracted the scents of flowers to apply to ourselves- what if we did the contrary and engineered a plant to emit the odor profile of a person instead? Could we design new rituals for mourning, new biologies for remembering? This project is the speculative design of a plant that smells like a person who is emotionally significant to me, but has passed away. Commercial agendas often drive the progress of certain trajectories of engineering. This project explores the an alternative design of plants that is not driven nor thoroughly integrated in capitalist production. 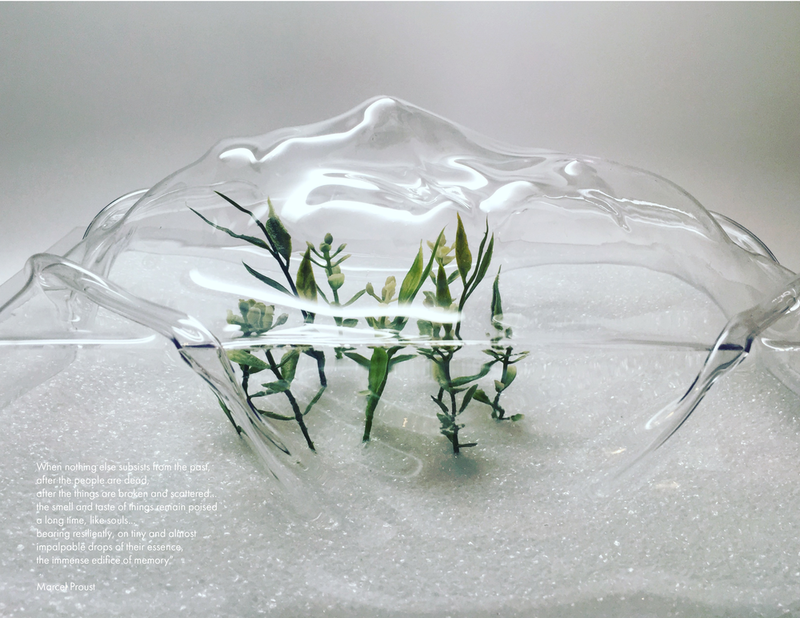 Exploring emotions such as loneliness, isolation, and feelings of guilt and anxiety towards human impacts on the environment, the function of these inquiries is to reflect on past, current and future trajectories of human influences on plant life.